Dead Rising is one of Xbox’s premier exclusive franchises, especially since the zombie craze is still going strong. Its next installment’s release date is set for this fall, but it will not be coming out on the 360. Larry Hyrb, aka Major Nelson, stated on Twitter that any rumors saying Dead Rising 3 is releasing for the 360 are false. It’ll release on November 22nd exclusively for the Xbox One alongside the new system. The game’s producer from Capcom said that they initially started developing the game for the 360, but the system simply couldn’t handle everything they wanted to do. Apparently the gameworld is going to be larger than the first two games combined! I’ve never been a huge fan of the Dead Rising games, largely because I’m not a huge fan of zombies. I like The Walking Dead as much as the next guy, but zombies get boring to me fast. They were great games, just snooze-fests after a couple hours in my opinion. Dead Rising 3 will certainly be a selling point for the Xbox One though. 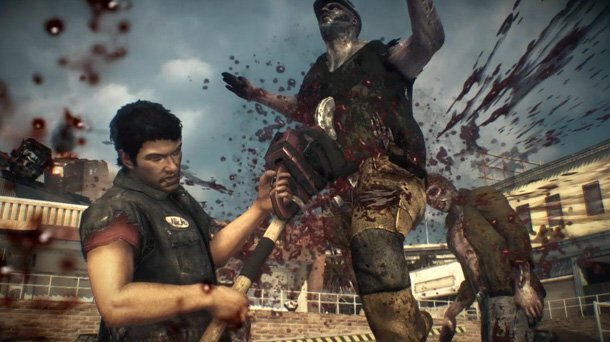 Would you buy an Xbox One just for Dead Rising 3?